A correction precedes the second part of this posting (7/24/14). Last Sunday I went with my youngest daughter and 10-year-old grandson to see a production of Fiddler on the Roof, perhaps my favorite musical play of all time. 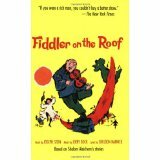 In my youth I had read the script by Joseph Stein; more recently I have read in translation the Yiddish stories of Sholom Aleichem, among them the stories of Tevye and his daughters upon which the play is based. 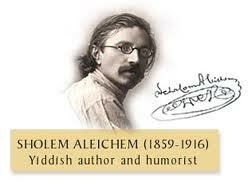 Sholom Aleichem, which is a pen name that means “Peace be with you,” was a contemporary of the also pseudonymous Mark Twain and was sometimes compared to him or alternatively to Charles Dickens, though translator Frances Butwin contends that the Jewish author was completely original. I don’t doubt that he was. I had previously seen the play, perhaps a quarter century ago, in a performance at my old church in Bloomington, Indiana. That production benefited from a number of talented people from the university and a particularly convincing Tevye. This version included a cast composed completely of students from the Evansville-Vanderburgh Schools, from junior high through recent high-school graduates. And as the review in the newspaper had said after the first night’s show, it was easy to forget that they were not Broadway actors. Nicholas enjoyed it tremendously but had a bit of a hard time wrapping his mind around the cruel disruption of Tzeitl’s wedding by Russian officials and hooligans, and the general concept of anti-Jewish pogroms that were a long-standing and recurrent reality for European Jews. The greatest pogrom of all, I suppose we could say metaphorically, was the Holocaust itself which speeded up the Zionist project of establishing a Jewish state in Palestine. Asked what his favorite part of it all was, anyway, Nicholas said something along the lines of: “I don’t know. All of it.” His favorite song? “If I Were a Rich Man,” an answer that did not surprise me. For my part I am always particularly touched by the tender song that Tevye sings about his third daughter, Chava, who has taken these modern daughters’ new ways of approaching marriage to an intolerable extreme by being wedded by a Russian Orthodox priest to a Christian man – a member of the same people behind all the pogroms and greater or lesser holocausts of a long Jewish past and present. In the end there is the modest beginning of at least a partial reconciliation with that beloved daughter, but her choice to marry outside of the faith was what made the metaphorical fiddler lose his precarious balance – maintained by the comfort of centuries of Tradition – and fall off the roof. Sholom Aleichem’s stories about Tevye and his daughters include the stories of a pair of younger daughters who inhabit the play’s background. The essentials of the first three stories, if not every detail, are present onstage. As for the others, all I will say is that each new story seems to become progressively sadder than the previous one. But beneath the sorrows there is always hope and, ultimately, the self-deprecating and loquacious humor that makes of Tevye such a memorable and beloved character. CORRECTION: In the following commentary I mistakenly state that the present stage of Israel’s Gaza war began with a barrage of Palestinian rockets to avenge the deaths of three Palestinian youths, probably by extremist Jewish settlers. In fact it was the lynching of one Palestinian youth in response to an earlier kidnapping and killing — apparently by random thugs rather than Hamas — of three Israeli youth. While this does not affect the accompanying observation about the imbalance between Israeli and Palestinian deaths in the subsequent fighting, I nevertheless regret the un-fact-checked statement (7/24/14). “This I read slowly over a period of months, I don’t recall exactly when I started, alongside my other readings. As is perhaps to be expected of such a book with such a broad scope, it is a slow read and rather dry; in some ways more repetitive and not as pleasurable a read as, say, John A. Crow’s Spain: The Root and the Flower which I read years ago in Dan Quilter’s class. There is some overlap between the two books, a briefer treatment here of Al-Andalus: the Moorish kingdom in Spain between 711 and 1492. Granted, at least geographically speaking Crow’s subject is more focused, less diffuse, but the time frame is even bigger and the prose just more poetic than Hourani’s nevertheless perfectly competent writing. “What I most enjoyed here are the discussions of culture and the arts. The range of Islamic thought, the articulation of its philosophy and artistic vision and scholarship, is always intriguing. That is why I have long been so interested in the history and literatures of Al-Andalus, by the mix of Jewish, Muslim, and Christian wisdom that prospered there for a time. And this book shows that through significant parts of Islamic history, those religious communities were and have been quite capable of living together in peace, if generally the Muslims would have certain privileges and less of a tax burden than the others. “Likewise I am deeply interested in the book’s fifth section with its emphasis on the rise of nation states and emergence of the present Israeli-Palestinian crisis which seems so increasingly and depressingly intractable. And without getting too specific I have the impression that, while the Palestinians do from time to time act in a way that seems at the least incredibly stupid (as in the past month when, to avenge the deaths of three Palestinian youths – probably at the hands of extremist Jewish settlers in the long-disputed territories – they have sent rocket after rocket at Israel with minimal loss in Jewish lives while Israeli retaliation is causing hundreds more Palestinian deaths), it is my impression, anyway, that the danger Israel has faced from the Arab countries has from the outset been greatly – or at least somewhat – exaggerated. “I could be wrong, but I don’t speak without considerable support from this and other sources and years of reading. Consider how short, after all, was the 1967 war, which deeply humiliated the Arab world and dashed their hopes of pan-Arabian unity in the defense of a Palestinian nation. By Hourani’s evidence alone, though he doesn’t make a big point of it, it is fairly clear that the Israeli state acted, even at that time, in bad faith, with no real intention of returning lands and with every intention of building and expanding into the disputed Palestinian territories. One wonders how much hostility might have been averted, after that show of strength, by a genuine effort to make a lasting peace. As it is, and this is a view expressed within Israel by Jewish critics of the Israeli military state, it seems evident that to a frightening extent the Israeli state has taken on, relative to the Palestinian Arab people, something of the monstrous quality of the Nazi state relative the the European Jew of the first half of the 20th century. Because, look, the Palestinian people that the Zionist movement or Israeli state violently uprooted in 1948 had lived in that land at least as long as the Jewish people had been exiled from it and previously inhabited it. “The great sin of the Jewish state is surely that, in their push to establish a land for themselves, and to keep their own people from ever again being the victims of a Holocaust, they have been thoughtlessly willing to subject Palestinian Arabs to holocausts great and small. And U.S. policy that has made the seemingly endless perpetuation of this injustice possible only makes it increasingly unlikely that a just peace can ever be attained. By the time the Jewish state is able to look with humanity at the people they have displaced, will those people have gone the route of the American Indian? And if so, in this age of nuclear threats and massive international terrorism from radicals throughout the Islamic world, at what cost of war and destruction around the globe? And to what extent has the Israelis’ own nuclear arsenal made the threat of nuclear proliferation in that region more ominous rather than less? 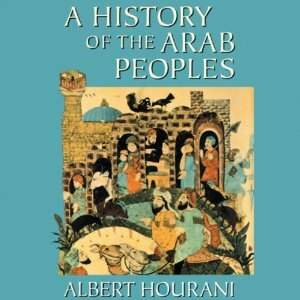 “Be all that as it may, clearly we need to take a much closer and more empathetic look at the Arab peoples and their complex of motives and aspirations in our time, with their origins in our shared and competing pasts. They are really, at the risk of falling into a cliché, not so different from us in that respect. Just in the context of the last century, for instance, and in the wake of the Palestinian and Arab losses of 1948 and 1967 and beyond, and of the disintegration of Pan-Arabian hopes for a united Arab people to stand beside the great caliphates and empires of their noble past, of all the humiliations of recent decades, it is understandable that there has been a fundamentalist religious backlash and a concerted effort, on the part of some, to re-establish a strictly religious and moral Islamic state. “How different are we, after all, here in the land of the free and home of the brave? We who in the face of social and economic unrest also have our Christian elements who would establish a state religion and replace all modern, verifiable, testable science with the authority of the Book of Genesis? God save us from such madness and superstition (the Bible was surely never intended as a science text, in anything approaching the modern sense!) which causes vast numbers of us to disbelieve in the proven verities of Darwinian science and keeps us from reaching a sensible agreement about the causes of present-day climate change – before it is too late to at least mitigate the difficult changes that are already taking place at a rate far and above what even science has predicted. 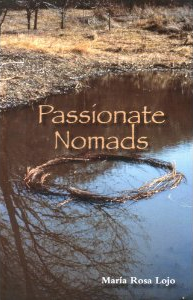 For the link to that and Jan Pytalski’s January review of my translation of María Rosa’s book, see my own blog entries for January 2014. If you are a university professor or know of one who might benefit from incorporating the novel into their course work, please have them contact me or Jay Miskowiec at Aliform Publishing. It would surely be appropriate to a course in Latin American or Native American Studies, Comparative or Argentine or South American Literature, or other related fields.